Flatted shank to prevent it slipping in the chuck. TiN coated for a longer life. 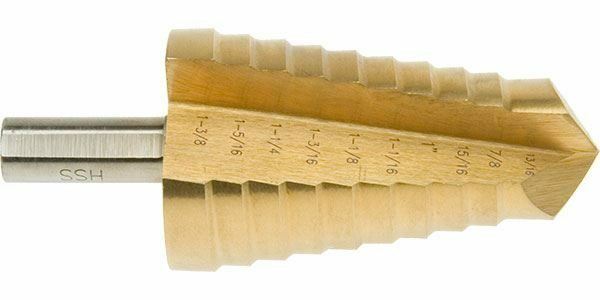 060-039-00400 3/16" to 7/8" 12 steps in 1/16" increments 3/8"
060-039-00500 13/16" to 1.3/8" 10 steps in 1/16" increments 3/8"